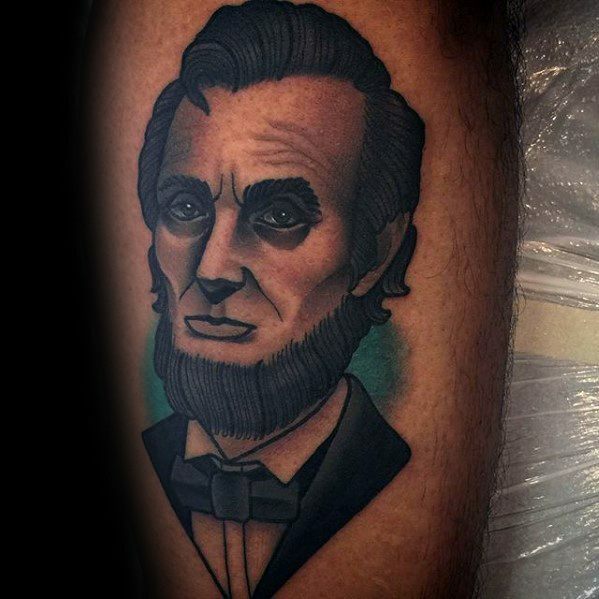 Sixteenth President of the United States, the Great Emancipator, and pop culture Vampire Hunter, Abraham Lincoln has remained an adored figure long after his life abruptly ended. 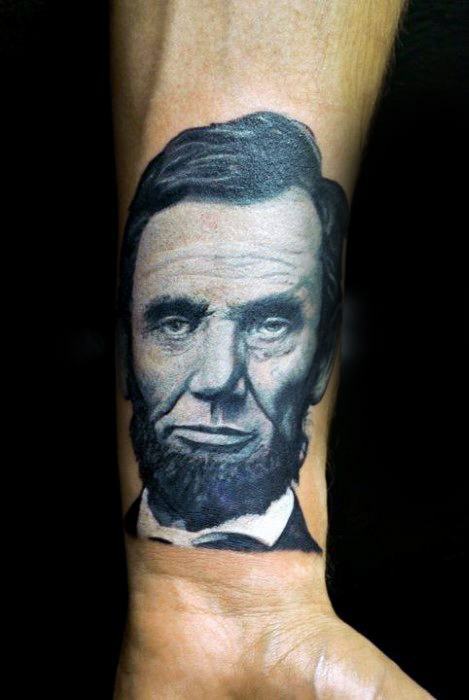 Often times considered one of the top three best presidents in the United States. 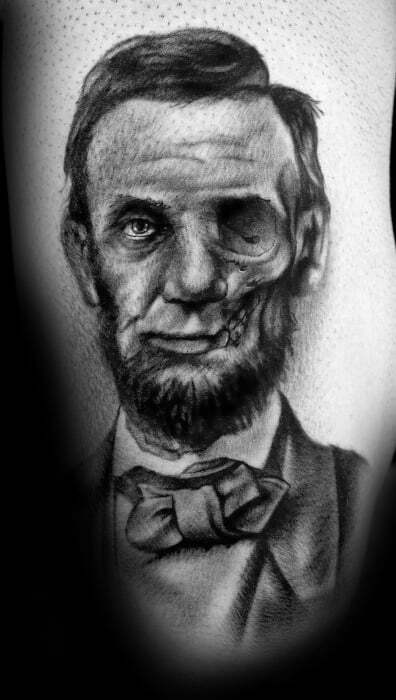 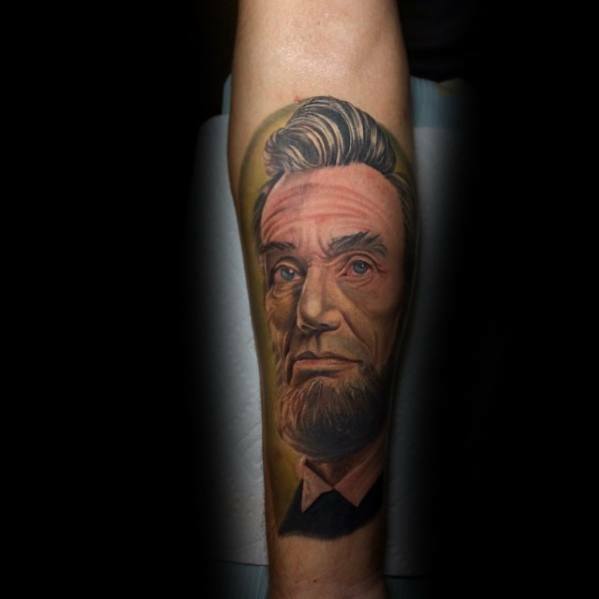 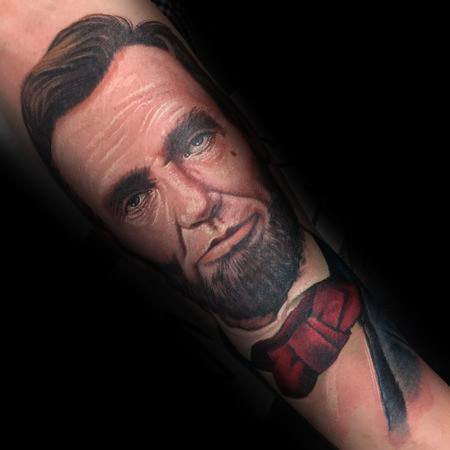 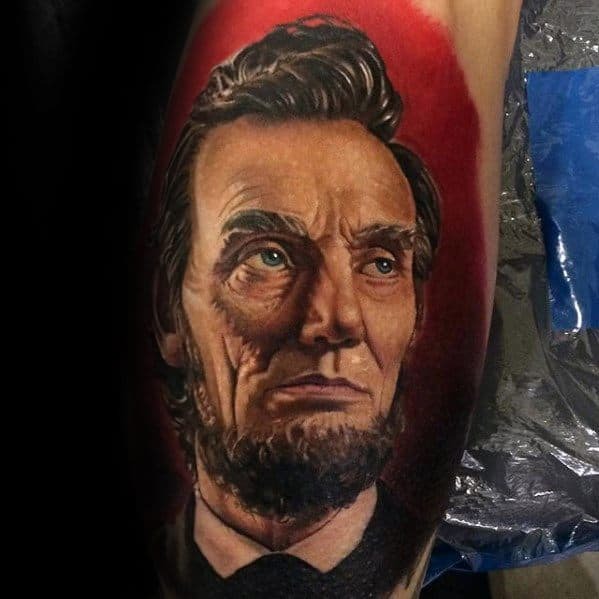 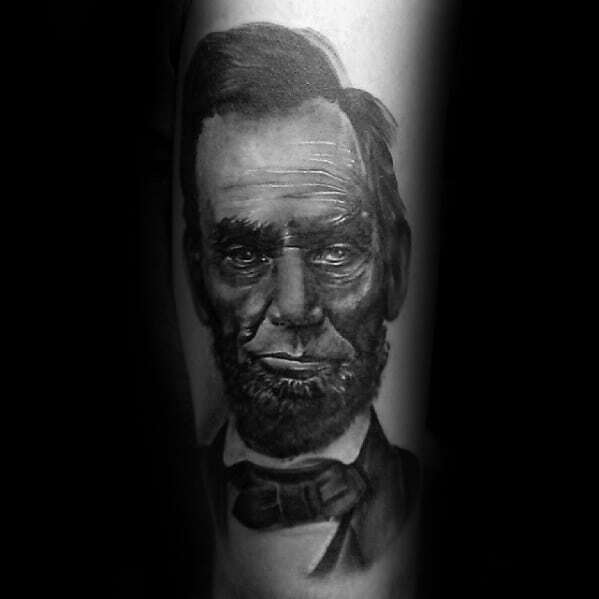 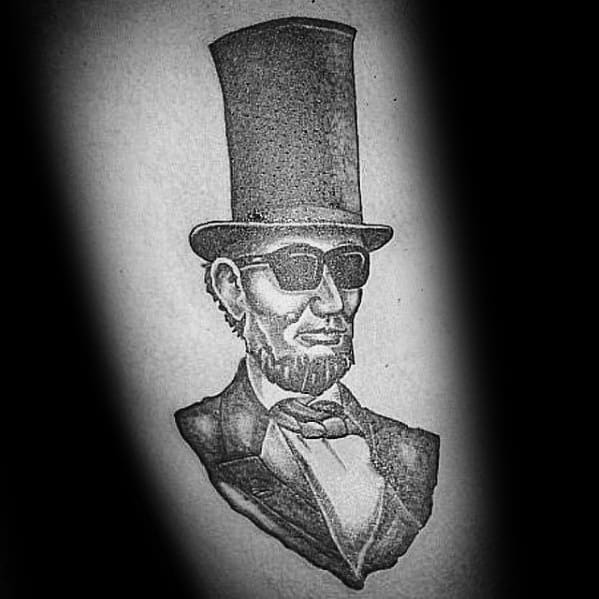 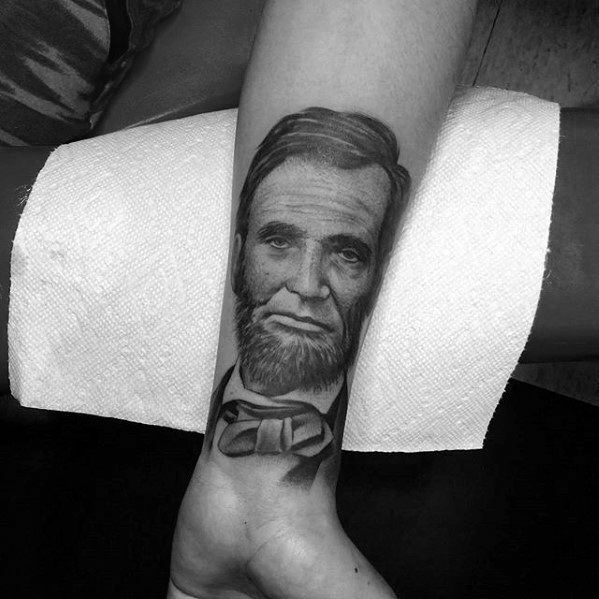 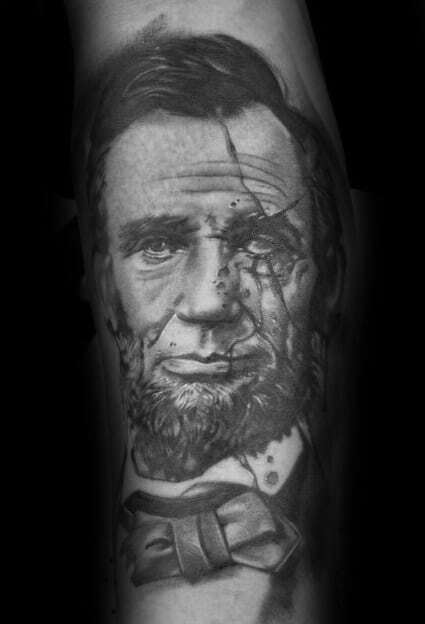 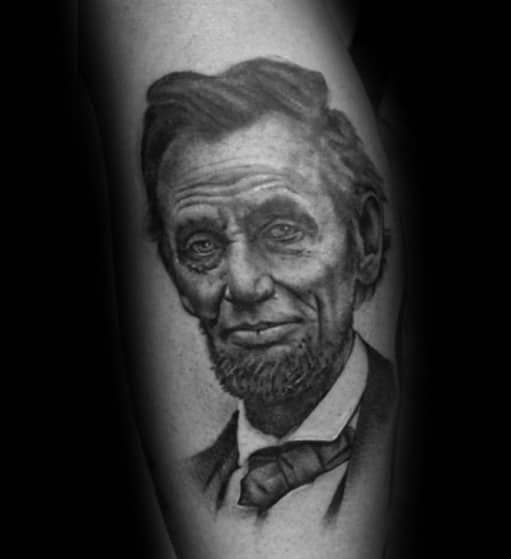 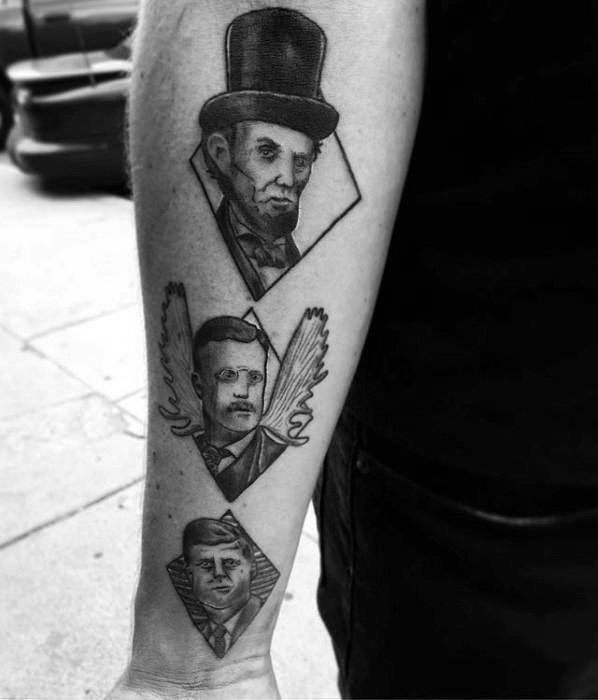 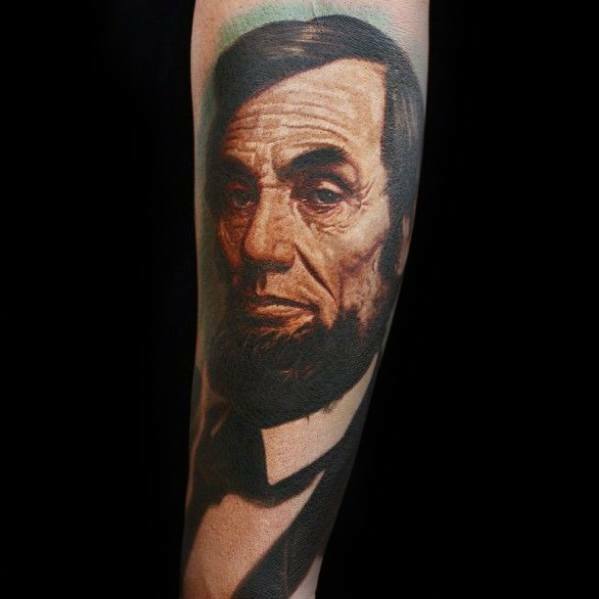 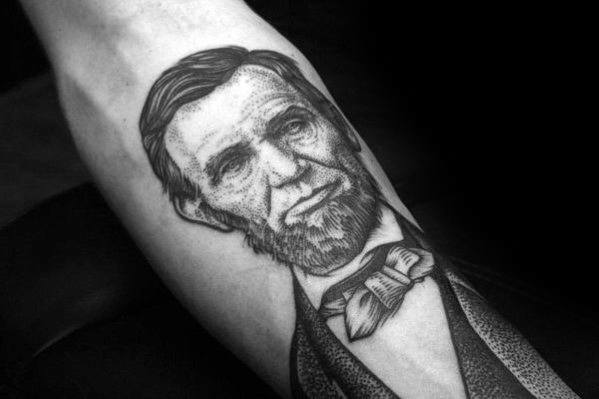 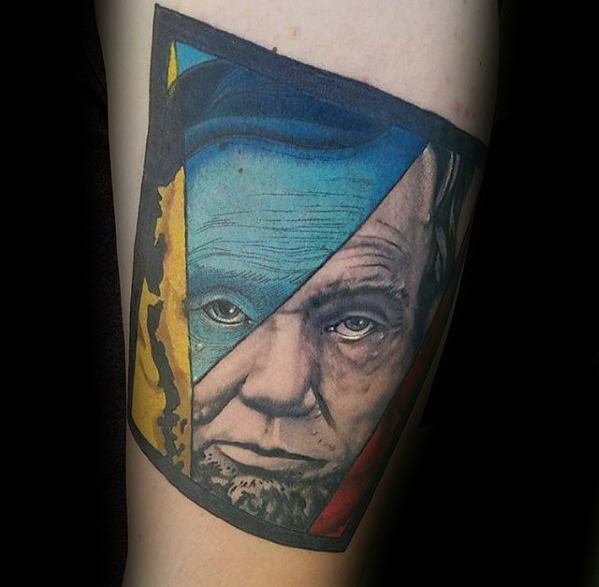 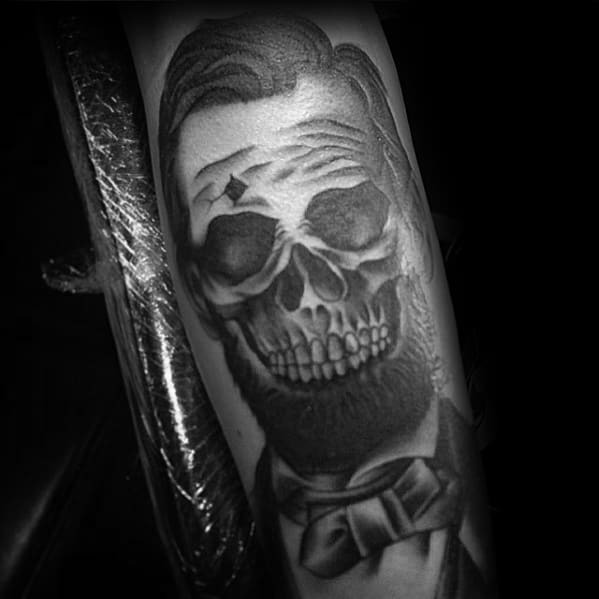 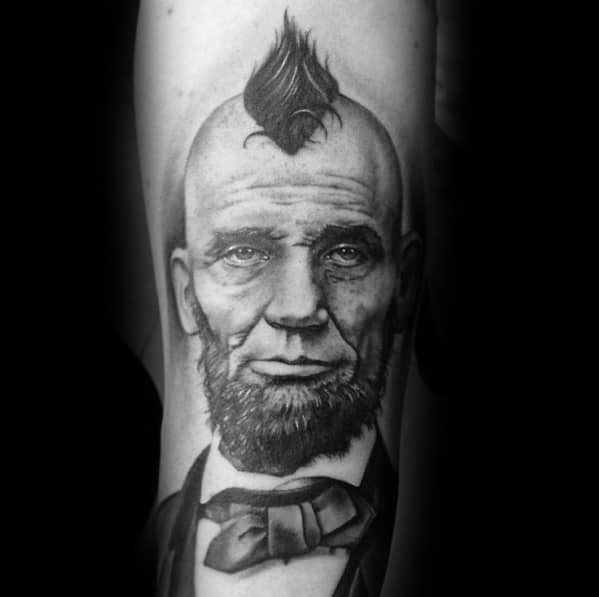 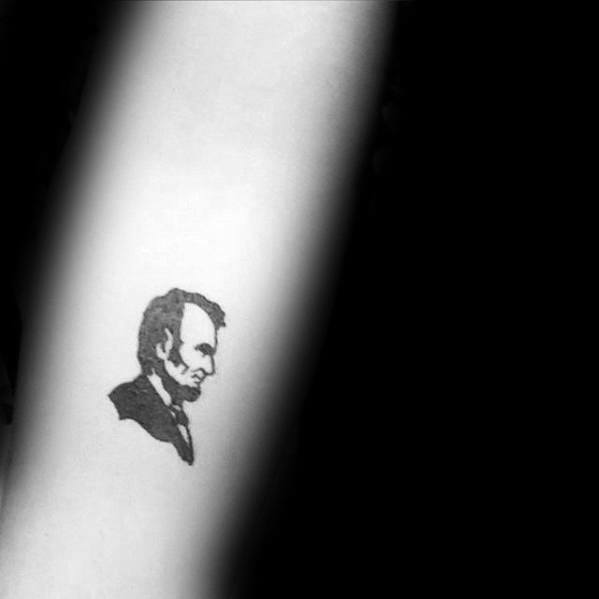 Like other great men, Lincoln is ubiquitously immortalized in tattoo form because of the inspiring life that he led. 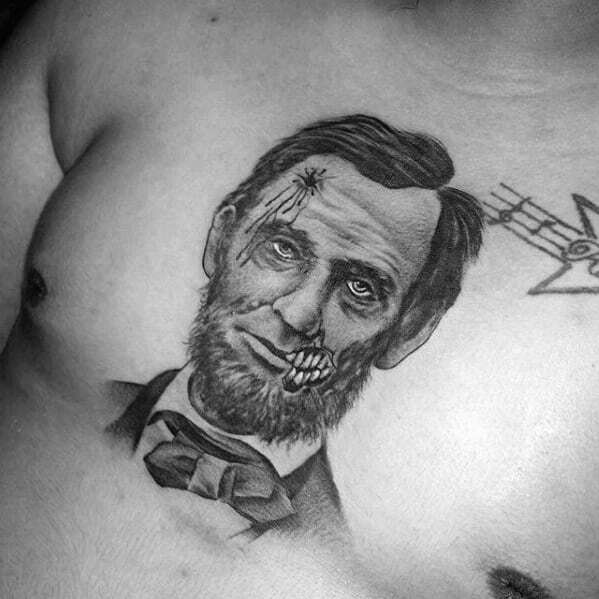 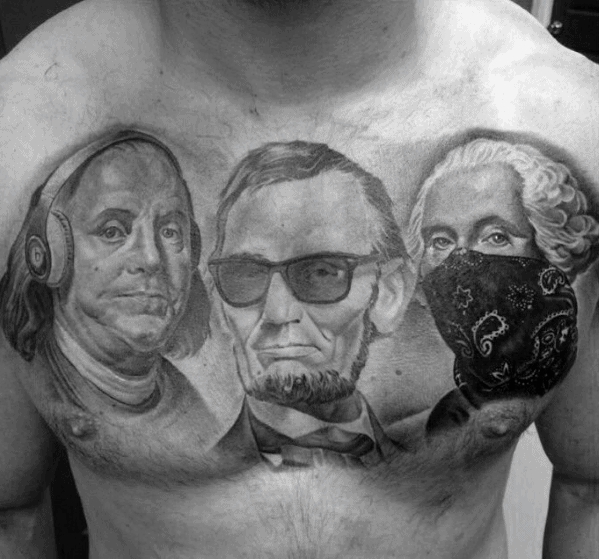 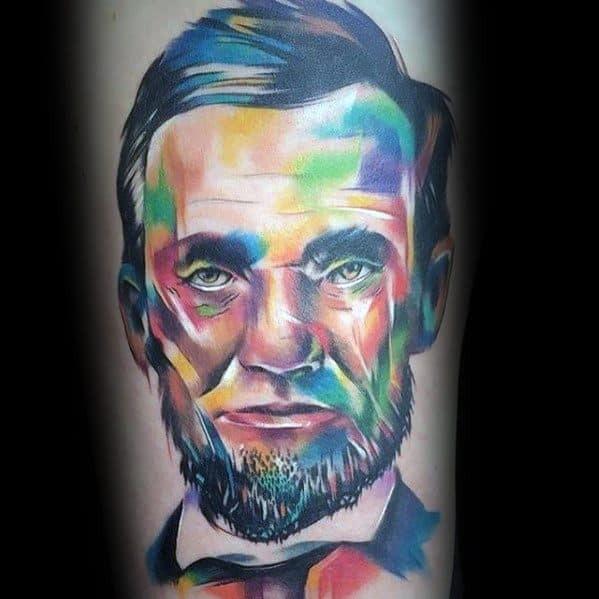 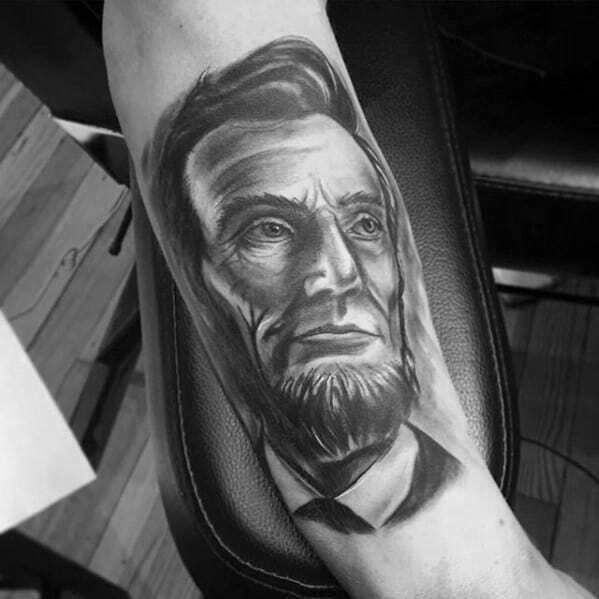 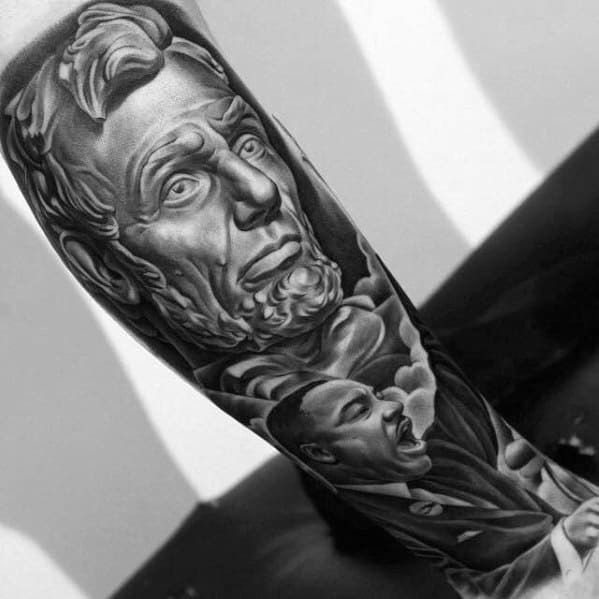 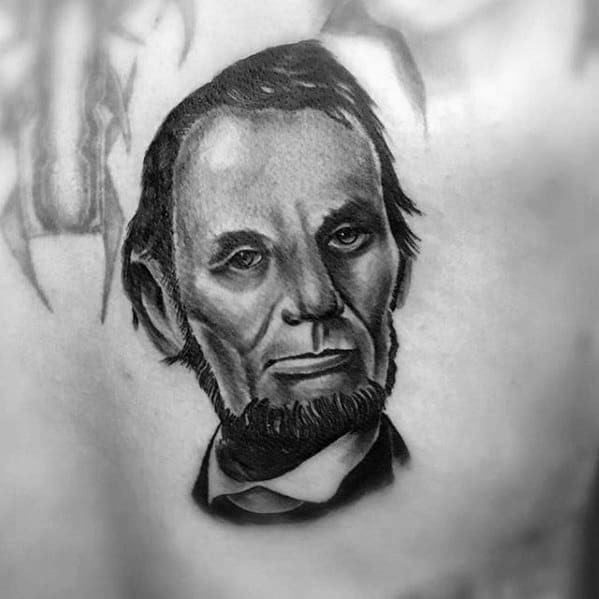 Abraham Lincoln tattoos are generally meant to symbolize the distinguished traits that our beloved president possessed: honesty, justice, and intelligence. 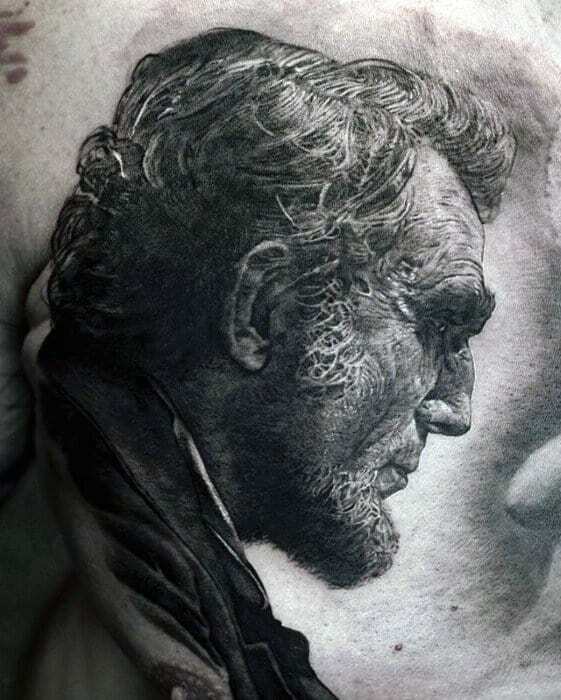 Lincoln’s ingenuity in navigating the Civil War and gaining the respect of his fellow man in spite of a starkly divided country is all a part of Lincoln’s perennial legacy. 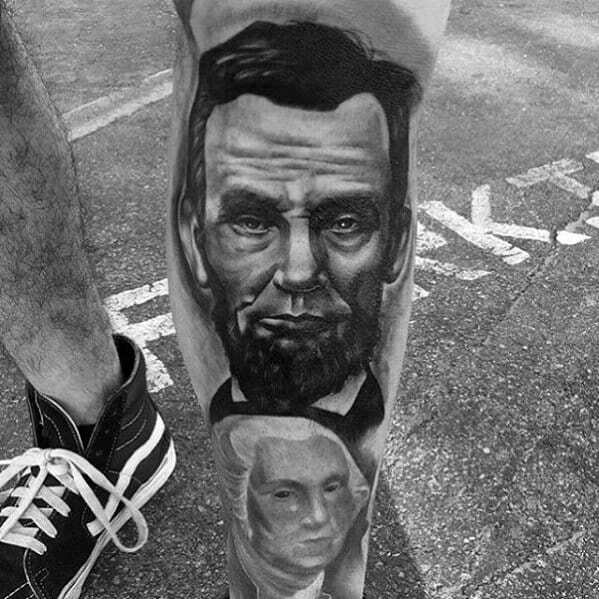 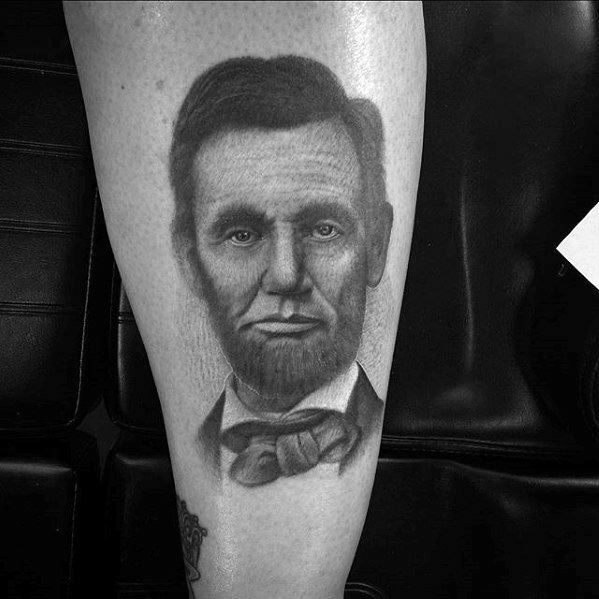 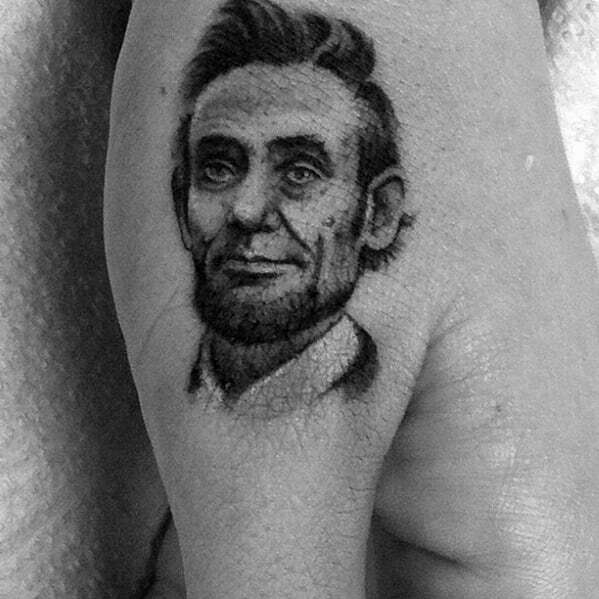 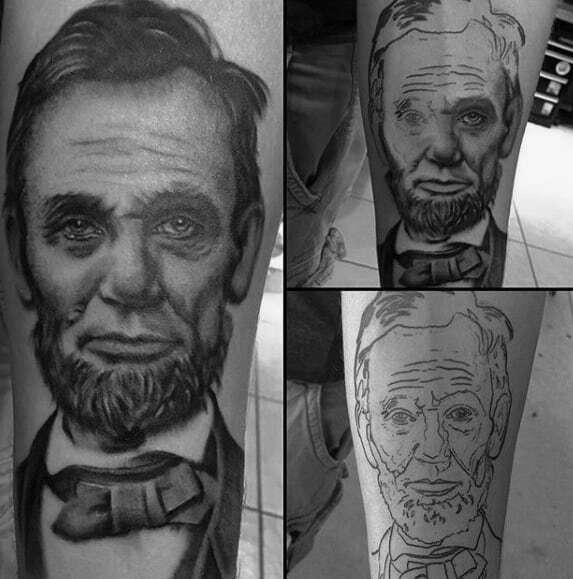 Tattoos that immortalize Honest Abe are generally portraits or caricatures of this president. 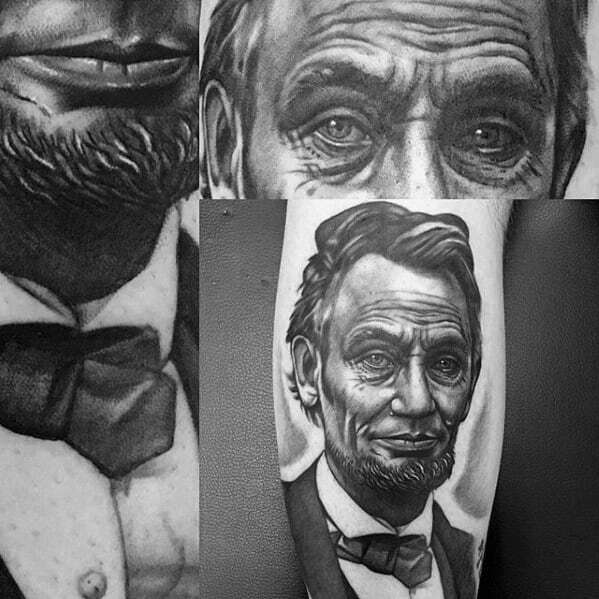 Important imagery, including Lincoln’s top hat and full beard are both common images for evoking the essence of this former president. 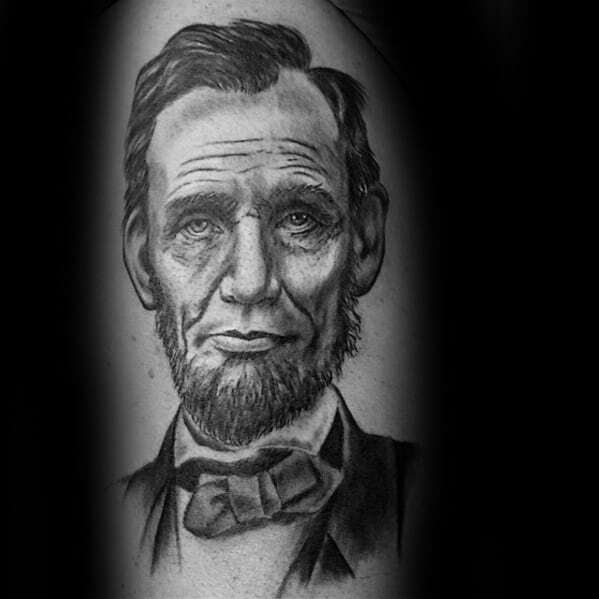 And, of course, Lincoln quotes are another important element of an Abraham Lincoln tattoo. 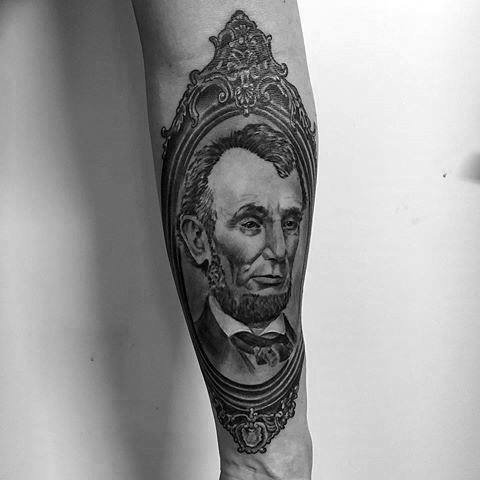 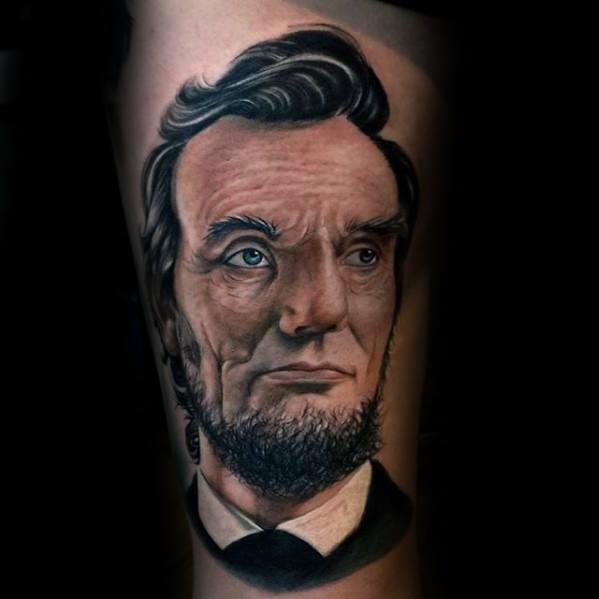 With a plethora of recorded speeches that demonstrate Lincoln’s eloquent style, tattooing one of Lincoln’s quotes is a facile way to pay your respects to this man. 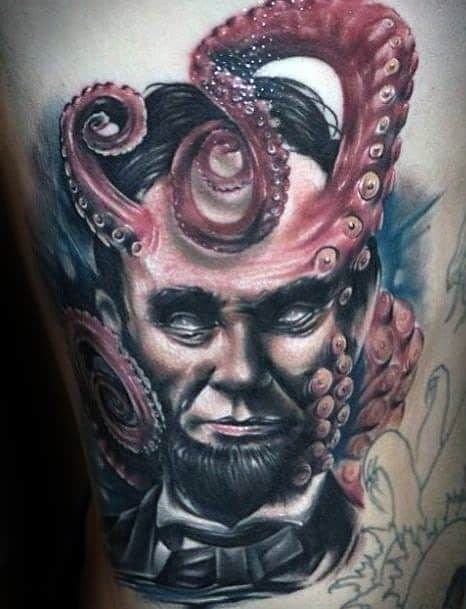 Creativity with this kind of tattoo is absolutely important. 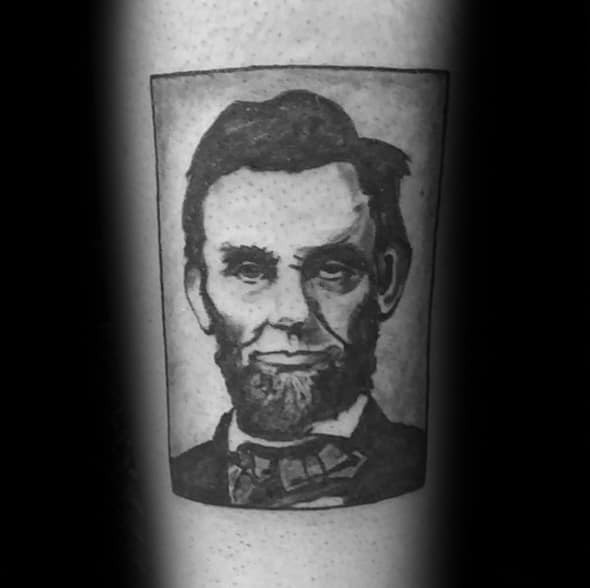 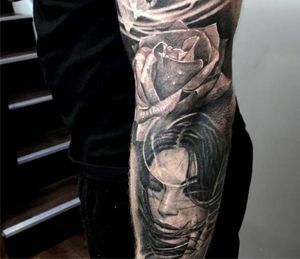 Don’t hesitate to try something beyond a realistic, photographic tattoo; instead, take your favorite design aesthetic and see how Lincoln can fit into it. 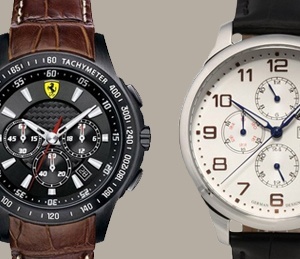 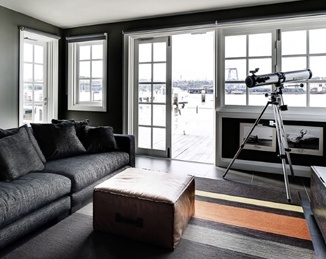 You might surprise yourself with something truly spectacular.